Martial Arts Weapons Kubotan Keychain Yawara Rubber government carbine. Great for law enforcement, Krav Maga, and tactical training. Distinct red coloring prevents replica training weapon from being mistaken for live gun. Reinforced to meet the demands of daily training. Weighted, detailed replica of a Government Carbine. Rubber training shotgun. Great for law enforcement, Krav Maga, and tactical training. 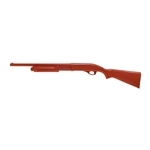 Distinct red color prevents this weighted, detailed replica from being mistaken for a live gun. Reinforced construction to stand up to the demands of daily training. Great for law enforcement, Krav Maga, and tactical training. 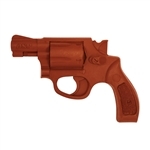 Incredibly detailed, weighted replica of a Smith & Wesson, with distinct bright red coloring to avoid mistaking it for a live weapon. Reinforced construction to stand up to the demands of daily training. Great for law enforcement, Krav Maga, and tactical training. Incredibly detailed, weighted replica of a Smith & Wesson revolver, with distinct bright red coloring to avoid mistaking it for a live weapon. Reinforced construction to stand up to the demands of daily training. Martial Arts Weapons Suntetsu Stainless Steel self defense weapon. Martial Arts Weapons Kubotan Keychain Spiral Utilized in several Filipino martial arts, Palm Sticks are a great, simple self-defense tool. These rattan palm sticks are available in youth and adult sizes, and are perfect for training.